Congratulations to the Mount Michael robotics team, 1970K Knight Shift. This past Friday and Saturday at the state robotics tournament they were awarded first place in robotics skills out of 50 participating teams. They went on to the semi finals in the event. Both accomplishments qualified them to go to this years Vex Robotics Worlds Tournament in Louisville, Kentucky April 19-22. 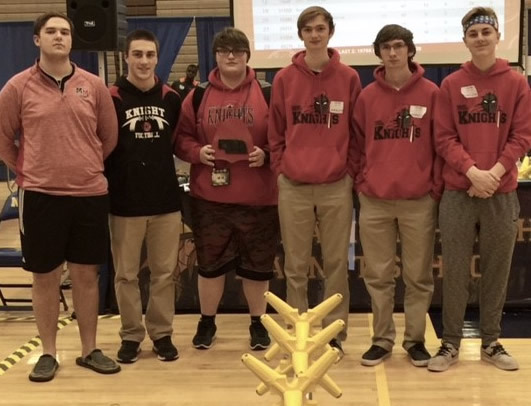 Knight Shift 1970K team members: Reilly Jackson '17, Drew Goddard '17, Lukas Williams '18, driver Nick Huetter '17, Nolan Huetter '18, and Nolan Gottsch '18.